So, you’ve volunteered to be in Special Forces and you’re getting ready to go to SFAS. This is the time to prepare yourself for the grind that is to come. There are certain tips, such as the PT program which will help you attain the level of physical fitness that you’ll need to not just pass the course but to excel. Well now we’re on to Team Week, you’ve passed the Land Navigation course, and while it wasn’t easy, you learned that you are pretty good at navigating after all. And if you can navigate in Hoffman, you should be able to do it anywhere. But now we’re here at Team Week and you’ve no doubt heard the nightmarish stories about it and what a smoker it is. Well, it is true that you are going to be tested this week. The tasks are difficult and you’re going to be worn down and smoked like a cheap cigar with some of them, especially if the weather doesn’t cooperate and the trails get muddy and slow. But again, like Land Nav, thousands of guys have passed it and so can you. What is Team Week Anyway? Well, the school response is that Team Week is a series of tasks that the candidates must accomplish within a set amount of time. Sounds fairly innocuous, right? No one is better than the military at making something sound so bland. The Special Forces cadre members will watch and evaluate the candidates on their ability to solve problems, work as a member of a team and lead a group of peers while under physical and mental stress. All of these are extremely important in your SF career but nothing will get you to be non-selected quicker than the second. You can be a physical stud and smoke every ruck, run and PT smoker in the pit, as well as find all of your points on Land Nav, but if you’re a non-team player, you’re done. sayonara, adios, auf wiedersehen, ciao. SF can’t use you. Team Work Essential: And trust me, the cadre is ALWAYS watching! During team week as an SFAS cadre member, I not only watched the candidate who was put in the leadership position of the event, but also his teammates. Are they supporting him to the best of their ability? Or during a break are they just doing the rucksack flop? If you are really good at lashing, be prepared to be busy during Team Week. Normally the successful teams identify the team members that are good at that skill right away. Because you must build some funky conveyances during Team Week. The better that they are lashed together and engineered, the quicker you’ll get to your finish point for that event. When it is your time in the barrel as a leader on an event, be a good one. Remember you’re not going to be the smartest guy in the room. You have a wealth of knowledge and experience amongst your teammates. Use them. Listen to their ideas, because you are all going to have to cross the finish line together. Get everyone involved and pulling together. Always be a Leader: In Special Forces, you’ll be expected to perform well above your pay grade in everyday work, so you must, must, must always be a leader in your attitude. It doesn’t matter if you are the Team Leader or the last guy in line. Always support the guy in charge to the best of your ability. Because that guy may be supporting you next. Selection never ends by the way. 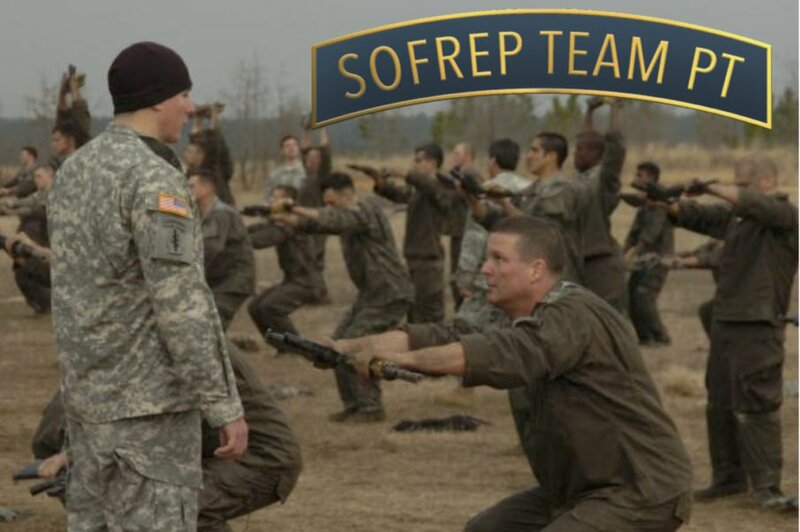 You’ll move on to the Q-course, get your Long Tab and wear the Green Beret but you’ll forge your reputation every day and on an A-Team, everyone must pull together and put absolute trust in each other. You’re starting an entirely new career field here, get off on the right foot and never stop. Gray-Man: I didn’t know whether to put anything down here on this subject because there are so many takes on this and they all differ. And this is one of those subjects I feel strongly about so my take on this is a bit biased. You’ll hear many people tell you to be the “Gray Man” in SFAS, and if that means to you, just keeping a low profile while doing the best that you can, then that is fine. But to others it means trying to purposely fly under the radar, to hide behind the masses. You know who those types are, and you’ll find some in your class. Everybody’s different. Certain guys (Many SF guys) are Type-A personalities and are demonstrative, take charge guys. Others are more low-key and lead by example types. Be yourself. The cadre will know by then which type you are. You came to Special Operations to be part of the top 1 percent in the military. That doesn’t mean to go beating your chest every time you accomplish anything, but if you’re looking to slide under the radar in training, then you’ll do it on a team. As a cadre member, I didn’t evaluate too kindly on those trying that. Final Thoughts: Team Week will test you, push you and is a big gut check. Take it seriously but always keep a positive mental attitude and you’ll be fine. Don’t be afraid to inject some humor in there. Sometimes humor can be a stress reliever and will lighten the load a bit. But in moderation as in all things. You’ll find that on you’re A-Teams as well. Team Week failures usually were because of lack of endurance, lack of tactical troop leading procedures, lack of being a team player and a lack of leadership by example. Those are easily preventable. Part of the reason you must be in such good physical condition is not only to pass the events of the course but physically fit people have a much better coping mechanism with stress. And Team Week will be stressful. Don’t be Late, Don’t be Light, Don’t be Last. Above all else …good luck!